Welcome to the Year of the Pig! Featuring 9 festive floats, 13 Mainland and international, and 12 local performing groups, including world-class performers and world record holders, the 2019 Cathay Pacific International Chinese New Year Night Parade was staged at 8pm tonight (5 February, on the first day of the Year of the Pig) in Tsim Sha Tsui. 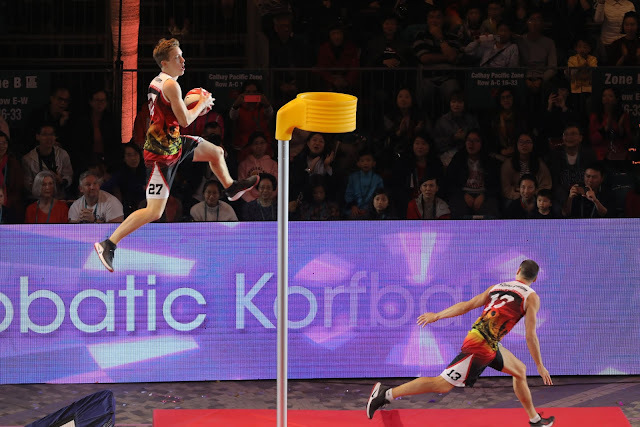 Organised by the Hong Kong Tourism Board (HKTB), the parade featured entertaining and challenging performances and stunts to present a vibrant Chinese New Year celebration for visitors and local residents alike. 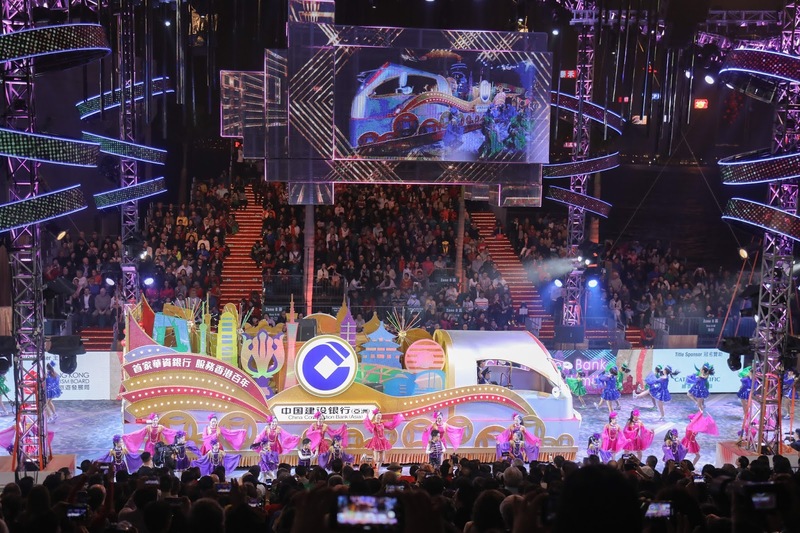 This year marked the 24th edition of the parade, with Cathay Pacific Airways as the title sponsor for the 21st consecutive year, and China Construction Bank (Asia) as the route sponsor for the fifth year in a row. The launch ceremony of the parade was officiated by The Hon Mrs Carrie Lam, Chief Executive of the Hong Kong Special Administrative Region (HKSAR); Mr. Edward Yau, Secretary for Commerce and Economic Development of the HKSAR Government; Dr Peter Lam, Chairman of the HKTB; Mr. Paulo Pong, HKTB Board Member, and Chairman of the Product and Event Committee; and Mr Rupert Hogg, Chief Executive Officer of Cathay Pacific Airways, the title sponsor. Themed ‘Best Fortune. World Party.’, the parade featured 34 floats and performing troupes from over 11 countries and regions. It consisted of a number of world-renowned performing teams and world record holders, including Junior New System from the Philippines, which gained fame in the American talent show “America’s Got Talent”, Face Team Acrobatic Korfball from Hungary, which holds 10 Guinness records, Hiplet Ballerinas from the US, whose videos have achieved overwhelming popularity on social media platforms, and multi-award-winning Austrian acrobatic troupe The Freaks Acrobatic Show. On top of the entertaining performances, this year's parade included some new fun elements. While watching the parade, visitors and locals had a chance to participate in a festive mobile game launched by the Quality Tourism Services Association and win prizes and rewards worth HK$3 million, including an auspicious golden pig! The HKTB also held roving performances along the route starting at 6pm, with 18 performing groups giving out gifts and interacting with spectators before the show. To raise the international profile of Hong Kong as one of the best places to celebrate Chinese New Year, the HKTB broadcast the parade live by satellite and fibre transmission to global television networks, major newswires and international cruise liners for live coverage. Hot on the heels of the 2019 Cathay Pacific International Chinese New Year Night Parade there will be a public display of the floats in Tai Po Lam Tsuen from the 2nd to the 15th day of Chinese New Year (6 to 19 February). On 6 and 7 February, various international performing troupes will grace Tai Po Lam Tsuen and Temple Mall North in Wong Tai Sin with their entertaining shows. For details of the 2019 Cathay Pacific International Chinese New Year Night Parade and other activities during Chinese New Year, please visit the HKTB website: DiscoverHongKong.com/ChineseNewYear/.